Written with understanding and familiarity, these seven stories present characters who are coming into their own as they discover and rediscover themselves. In "Chuck Paa," a young man in flight from his mother seeks and finds employment in an upscale world, which can never quite become his own. The title story, "The Rose City," tells how a shared lost love brings together two friends who reunite to reflect on their past, their present, and what lies ahead. 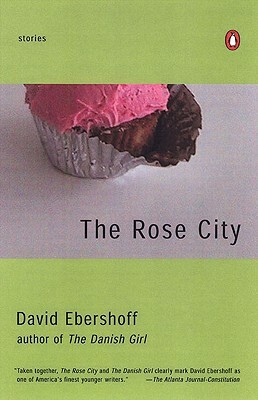 With the same insight and daring of The Danish Girl, The Rose City secures David Ebershoff's reputation as a writer of rare talent and sensitivity. David Ebershoff is the publishing director of the Modern Library, a division of Random House, Inc. He is the author of the international bestseller The Danish Girl and visiting lecturer at Princeton University.